The doctor's signature is different on two documents. Presidential election frontrunner Volodymyr Zelenskyy has posted on Facebook medical test results dated 2 April, although he only took the tests on 5 April. He then quickly replaced the report with a similar one but dated 5 April. The doctor's signature does not look the same on the two reports although his name stayed the same. 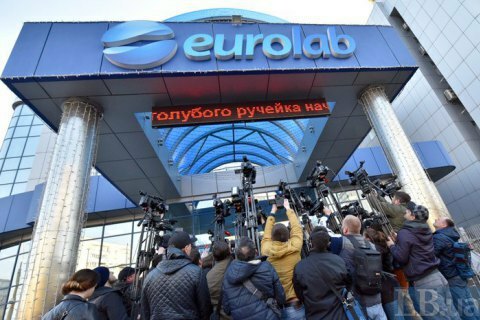 The Eurolab laboratory which took the tests belongs to Zelenskyy's supporter, businessman Andriy Palchevskyy. Later in the day, Eurolab blamed the date problem on a nurse's mistake. "We have corrected this mistake and sent it to you with the correct registration date. Let us assure you that the operator's mistake has not affected test results," it said in a letter to Zelenskyy.